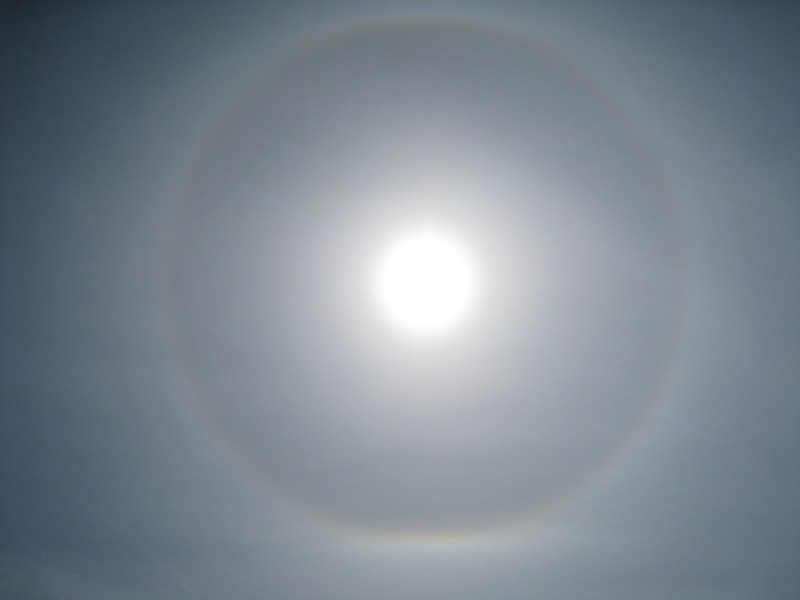 Robert Seymour took these photos of a 22° solar halo around the Sun on the 25th August 2012 from Bournemouth using a Canon Ixus camera. 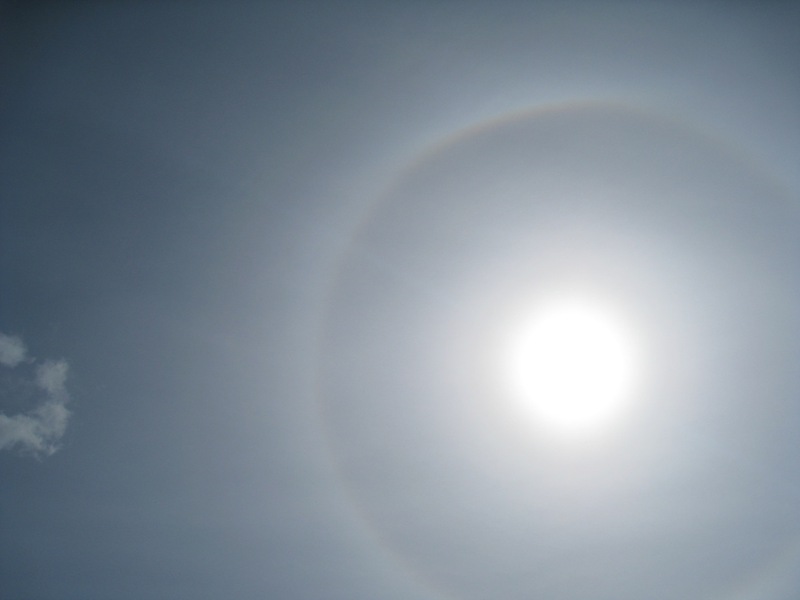 The halo is formed by sunlight being refacted by ice crystals in the atmosphere. 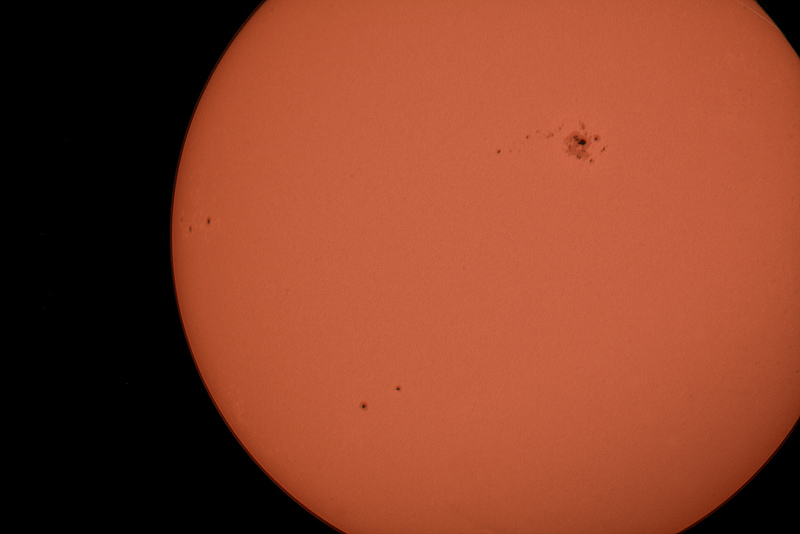 Chris Newsome took this picture of the Sun on the 12th May 2012. It shows the massive sunspot region 1476, with region 1479 near to the western limb and (from right to left) the pairing of 1477 and 1478. It was taken with a Canon 40D camera and Meade LX90 telescope using HDR techniques and then combined in Photoshop. 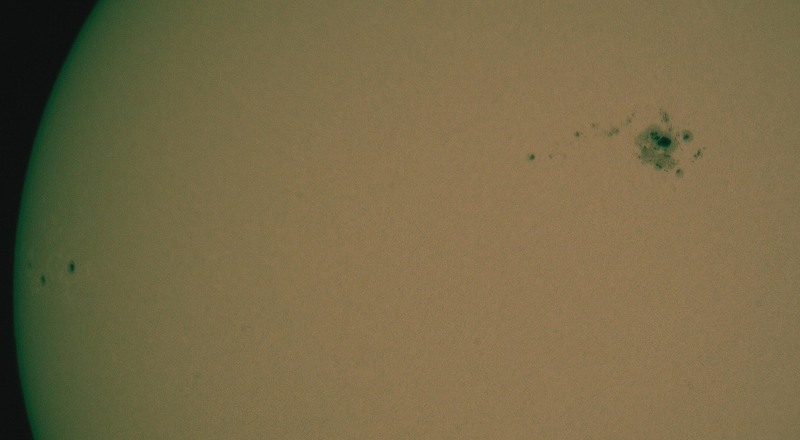 A close-up of active region AR 1476 is shown below this image.